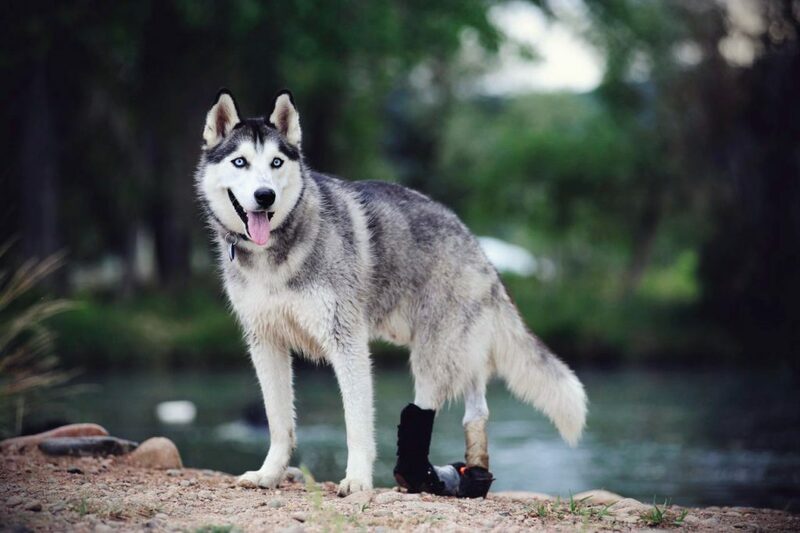 Antoine is a husky who was infected with Neospora in the womb, developed rigid paralysis as a result. His legs were unable to be corrected by specialized surgery but consistent physical therapy and adapted orthotics have given him great mobility and a happy life at Connie’s. Spree was born with a defective shoulder and dislocated elbow. Her attempts to compensate would have done damage to her spine over time, so the doctors amputated her right front leg at thirteen weeks of age. With her tremendous spirit, Spree relishes her role as leader of the pack. 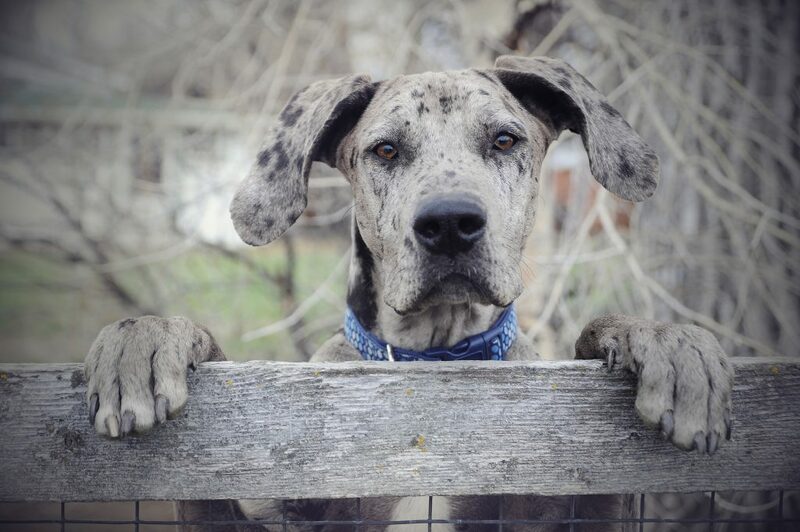 Kerry is a Blue Merle Great Dane deemed unadoptable by shelters because of the deformity of her back legs. After a unique surgery to correct it, she can run and play endlessly. 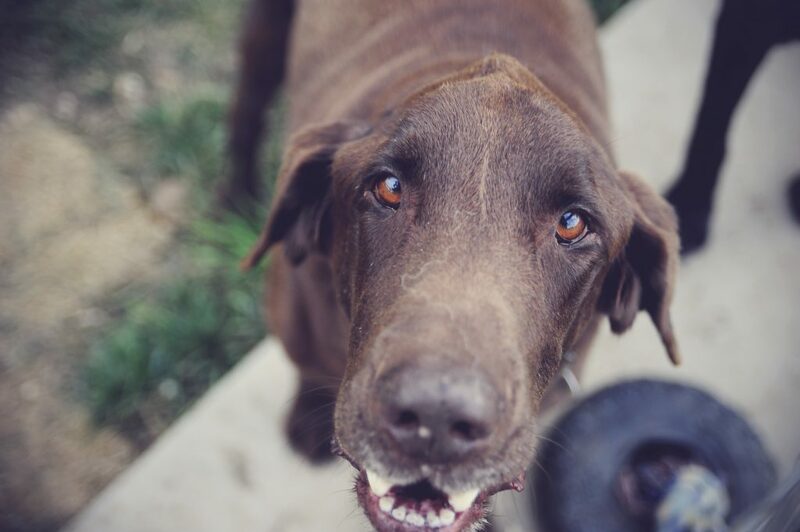 Dexter is a chocolate lab was hit by a car and needed too much care for his owners to manage. 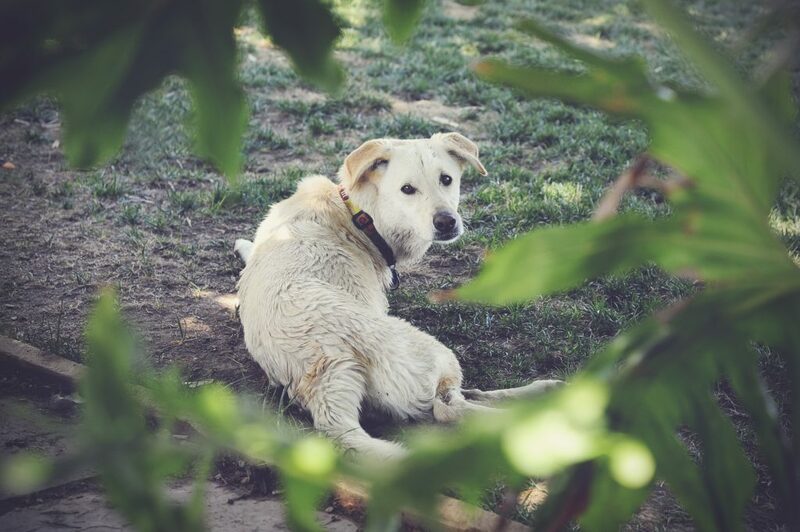 Previously, he had developed masticatory myositis that caused his chewing muscles to atrophy. The doctors were able to stop the infection, but they couldn’t fix the cone shape of his head caused by the illness, and it became his endearing trademark.